The Houston office of Cresa, one of North America’s largest tenant representation firms, has reported significant growth in revenue and market share over the past two years. In 2014, Cresa’s North American revenue exceeded $290 million and the firm completed more than 10,000 brokerage transactions with a combined lease value of $10 billion. Nationally, Cresa’s revenues have grown by 85 percent over the last five years. 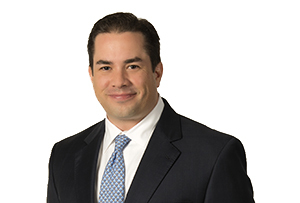 To find out current office and industrial conditions in Houston, Realty News Report spent some time with André Granello, Cresa managing principal. Realty News Report: What’s the state of the Houston real estate market today? Good? Bad? Challenging? Granello: The Houston commercial real estate market continues to weaken across most product types with only a few exceptions. The vast majority of landlords in the office sector have become increasingly aggressive in their pursuit of tenants by quietly proposing economic packages that are as much as 20-25 percent below their published rates. Credit tenants are enjoying enhanced concessions in the form of rent abatement, discounted parking and robust work letters (tenant improvements). The small and mid-market sector continues to move at a rather brisk pace, but gone are the days of the most noteworthy upstream energy transactions. The downstream energy sector remains strong with lower commodity prices. Medical and retail remain sturdy while industrial and multifamily fundamentals are mixed. Realty News Report: Looking ahead, what’s in store for Houston’s real estate market in 2016? Do you see a market upturn or downturn? What would cause this trend? Granello: Large blocks of sublease space have saddled most every major office submarket in Houston. Expect that trend to continue well into 2016 as companies continue to focus on cost efficiencies and non-core asset dispositions. Many point to the silver lining in construction and housing. Much of the construction activity has been in the pipeline for quite some time. Look for those statistical figures to continue to slide over the next 12-18 months as those projects are completed or otherwise shelved altogether. A lot of the increased transactional volume in housing activity is primarily a result of pent-up demand over many years of constrained supply and the newfound inventory as a result of recent job loss. Over the long term, look for commercial real estate to thrive in Houston; but in the interim, expect lower commodity prices and persistent weakness in the labor markets to weigh heavily. Realty News Report: What are the most challenging submarkets in Houston? Granello: We are witnessing the most significant market corrections in the Energy Corridor, Westchase and the smaller contiguous submarkets. Greenspoint continues to be the most challenging from a landlord perspective. Greenway Plaza, North Belt and Northwest all saw decreases in rental rates over the past several quarters. Several submarkets to the north including FM 1960, the Woodlands, and the Northwest are experiencing very little leasing activity in spite of the Exxon consolidation and resettlement. Realty News Report: CRESA recently put together a deal to put Cemex (the Mexican building products firm) into a new 240,000 square foot space that will be built in Memorial City along the Katy Freeway. There haven’t been many new office buildings announced lately. How did that deal come together? Was it more beneficial for the company to build its own space rather than lease? Granello: Cemex entered into a deal for approximately 85,000 square feet anchoring a new six-story tilt wall building being constructed at the northwest corner of Gessner and I-10 by Metro National to accommodate their evolving office space needs. Over the years, Cemex has resided in several different buildings owned by Metro National and that association and familiarity were key drivers in Cemex’s decision to again align themselves with Metro National in the development of their new facilities. Realty News Report: You recently handled the sale of 78,000 square feet of mixed-use buildings on 116 acres in Odessa, as part of the contraction in the Permian Basin. With drilling activity down and oil prices low, how are market conditions in West Texas today? Granello: As a result of the shale phenomenon, West Texas, has, until recently, enjoyed historically low vacancy rates and ballooning sales and leasing values. With the fall in commodity prices and the decommissioning of so many drilling rigs, conditions have become less favorable. Vacancy has increased to 10.6 percent off the historical 6 percent norms, rents have been decreasing this year (although still at a fairly healthy levels from a historical perspective), leasing activity is slow, and absorption is negative. That said, local companies are accustomed to this type of market volatility, and while they are generally being cautious, many are using the more malleable conditions to make strategic real estate and asset acquisitions. Those looking to buy core real estate assets for 20-30 cents on the dollar are going to be disappointed, barring any further deterioration or prolonged weakness in commodity prices. Realty News Report: What is going on with Houston’s industrial market? Is it strong? If so, why? Granello: Houston’s industrial fundamentals are somewhat mixed. Downstream companies are performing favorably with the lower commodity prices, but the uncertainty for many in the upstream market has caused a ripple effect across the oil and gas value chain. Raising capital and managing debt has become a significant impediment to operations, and as a result, the health of the industrial sector is somewhat pockmarked. The vacancy rate for industrial product is hovering around 4 percent, leaving little inventory to be absorbed. However, there remains an implied weakness that has yet to fully present itself. Rental rates have remained in many cases stubbornly high with some areas even experiencing the highest rental rates in recorded history. On the other hand, there are several significant new industrial developments with substantial vacancies and very little leasing demand, which I think well illustrates the potential headwinds we might experience soon in the sector. Realty News Report: There seems to be a flurry of industrial activity just south of Houston along Highway 90 and the south Beltway. Hines is there with an industrial project and there are other major players. There’s certainly a lot of available land. What’s your analysis of the Near South? Granello: Historically, south Houston has been largely ignored. The vast majority of developers that pioneered that area so many years ago performed very poorly. This experience created a lasting stigma for many local developers in the area until recently. As rents, land, and development costs skyrocketed to unprecedented levels in the north and northwest industrial markets, developers and end-users began to search for lower cost alternatives and south Houston, with its proximity to the ports, chemical companies, skilled labor markets, and large available swaths of land, became too enticing to ignore. I believe the projects being developed by Hines and Trammell Crow will perform very well over time. South Houston may prove to be the one of the most dynamic development plays in the coming years. Realty News Report: During your 14 years in the business, you’ve been involved in over 7 million square feet of transactions. What’s the key to real estate success today? Hard work? Connections? Perseverance? Good luck? Granello: It all helps. Work hard, play by the rules and represent your clients to the best of your ability and the rest takes care of itself.